Many of the people who get arrested for a crime in New Hampshire every day have never been arrested before. Having never been thrown into the criminal justice system, these people do not fully know what to expect, beyond what they may have seen on TV shows or in the movies. Unfortunately, the media does not often portray the criminal justice system correctly, taking huge liberties to make things seem more dramatic than they really are. A common source of confusion for people who have never been arrested before is how bail works, and why it exists. When you get arrested in New Hampshire, you will be taken to the police station for the booking process. This involves the police taking record of your personal information, like your name, address, and details about why you were arrested. You will have your fingerprints taken, your belongings confiscated, and be brought to a holding cell or the local jail, to await your arraignment and trial. To get out of jail before the trial, you need to post bail. Bail is a sum of money that you give to the court as a promise that you will be there for your future court dates. If you post bail and then are not present at a required court date, the money that you posted as bail will not be returned to you. However, if you make it through the entire court process without missing a required attendance, then you will have your bail money refunded. The bail amount will depend on several factors, including the seriousness of the crime that you are being accused of committing, your criminal history, your flight risk, and whether the court thinks that you are a danger to your community. For people who have never been arrested before, bail is usually relatively low. Nevertheless, it can still be a significant financial strain, and require you to take out a loan. 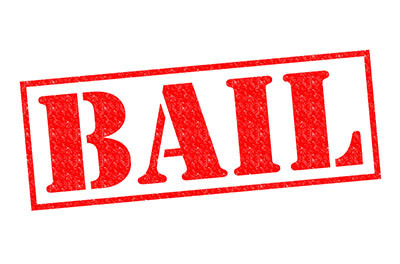 Bail exists because there are often months between the time of your arrest and your trial. Bail is a convenient way to make sure that you appear at your court dates, without shutting you in jail for such a long period of time. It allows you to keep your job, live your life, and be there for your family. The bail process is not set in stone. Having criminal defense attorneys at your side can make a huge difference in the amount that gets set for bail, which can make the difference between being able to post it without financially ruining you and having to wait for your trial behind bars. The New Hampshire criminal defense attorneys at Tenn & Tenn have experience defending clients against criminal charges and fighting for their interests from the very start of the process. Contact our Manchester law office online or at (603) 624-3700 for legal representation in the bail process. We will fight to make sure you get an outcome that you can manage.